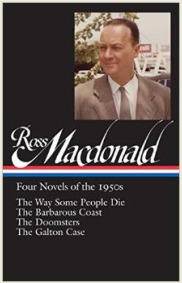 Now I can revisit one of the finest hard-boiled mystery authors with the Library of America's publication of Ross Macdonald: Four Novels of the 1950s, containing The Way Some People Die, The Barbarous Coast, The Doomsters and The Galton Case. Robert B. Parker wrote that Macdonald, "in his craft and integrity, made the detective form a vehicle for high seriousness." Macdonald also inspired later writers with his exploration of what lies beneath the façade of respectability, how family secrets fester, how the past is never truly buried, with postwar Southern California as his dark canvas. "A bowl full of floating begonias sat on the desk in front of [the receptionist]. Audubon prints picked up the colors and tossed them discreetly around the oak walls.... A Harvard chair stood casually in the corner. I sat down on it, in the interests of self-improvement, and picked up a fresh copy of the Wall Street Journal." A different kind of March madness bracket: Flavorwire offered "50 Great Novels About Madness." Feed Your Need to Read played "10 Bookish Song Parodies Better Than a Weird Al Album." Bustle chronicled the "10 emotional stages of seeing your favorite book get turned into a movie." "Philip Pullman: 10 magical quotes from his books and the man himself" were featured by the Guardian. Just so you know, the "struggle is very, very real." Buzzfeed noted "23 struggles only book nerds will understand." 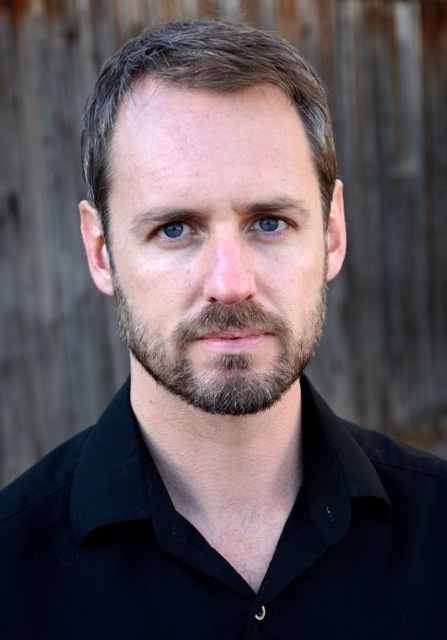 Scott Carney is an investigative journalist who has written for Foreign Policy, Details, Discover and Outside, and has been a contributing editor at Wired. The Red Market: On the Trail of the World's Organ Brokers, Bone Thieves, Blood Farmers and Child Traffickers won 2012 Clarion Award for best nonfiction book. His new book, A Death on Diamond Mountain: A True Story of Obsession, Madness, and the Path to Enlightenment (Gotham Books, March 17), tells the story of Buddhist practitioner Ian Thorson, whose trip to a remote Arizona desert retreat turned deadly. When did you first hear about the death of Ian Thorson and what made you decide it would be a good subject as a book? I'd been working on this book long before I'd ever heard Ian's name. Back in 2006 I was the leader of an abroad program for American college students in India. The highlight of the trip was a silent meditation retreat in Bodh Gaya--the city where the Buddha attained enlightenment--and on the last day of the retreat one of my students took her life by jumping off the roof of the center. Some of the last words in the journal she left behind were "I am a Bodhisattva." This means that she thought she had attained enlightenment. She reasoned that taking her own life was the easiest way to speed her transition into the next world. Dealing with the situation was probably the most pivotal moment of my life. I've written about it in a few places. However, the lingering question always was how did a meditation practice that aimed at making people more compassionate and at peace with the world turn out so badly. I looked for other cases of people whose journey into deep meditation turned tragic. I collected seven journals from people who took their own life after retreats. Then, when I was writing a story for Details about spiritual sickness, I learned about how Ian Thorson died on a meditation retreat in the mountains of Arizona and I realized that I wanted to know why someone would want to do a three-year-long retreat in the first place... and what went wrong. Why do Westerners, and Americans in particular, sometimes have such problems when practicing Eastern religions? America has a long history with Christianity. When Americans start getting interested in other religions, they come to table with a lot of preconceptions. It's very easy to listen to a Buddhist teaching and substitute the idea of "Nirvana" for "Heaven" or "Bodhisattva" for "Angel." In fact, it's natural to fill in the gaps of your knowledge with your previous understanding. While good teachers can head off some of this confusion, many Americans go abroad looking for answers in exotic knowledge, and that can often be a dangerous proposition. Add the prevailing sentiment of American Exceptionalism and certain meditation practices that can make you feel like a god, and some people [come to] feel that they are special and god-like. This sort of narcissism is incredibly common in certain meditation communities. If not properly taught, it's a deadly cocktail that leaves people out of touch with reality. Are the practices dangerous or is there something in the American psyche that alters and skews things? For most people, meditation is incredibly beneficial. It helps you concentrate, gives you a sense of well-being and has lots and lots of well-documented health benefits. Everyone comes to meditation with their own background. Life, it turns out, is a preexisting condition. And how people respond to intensive meditation has a lot to do with their own mental state before they ever hit the cushion. Americans have a lot of baggage before they ever start meditating. Cutting through that is really important. Do you think Thorson's journey could have ended differently had he not been pulled into the orbit of Michael Roach and Christine McNally? When Ian was at Stanford he wrote his senior thesis on the topic of spiritual intoxication. In his evaluation of the project, the eminent professor Hans Gumbrecht presciently wrote of Ian: "He is a very intelligent young man who, owing to the ease of his talents, might go extremely far. He may also perhaps never find his place 'in real life.' " So, who knows? He was a seeker and was going to find something to give him meaning in life. One chapter provides a short history of the area in Arizona where the penultimate events took place. Is there anything about that area that foreshadowed the tragedy? The land where Diamond Mountain University sits has a long and tumultuous history that goes all the way back to its creation in a gigantic volcanic explosion several million years ago. The freshwater spring that flows in the middle of the retreat valley was later one of the most sacred spots for the Apache, and the site of numerous murders, a battle between the Apache and the Union Army and, later, the last place that Geronimo set foot on Indian land. The people at Diamond Mountain continually refer to the Apache history, and when the freshwater spring finally dried up during the silent retreat, some people took it as a sign of very bad juju on the land. Is there anything to prevent others from losing their way in the fringe elements of Eastern religion as taught by Americans? Probably not. Every spiritual journey is potentially dangerous; that is part of what makes them special. I think we can raise a warning that these practices are powerful and potentially life changing, but people look for meaning however they can. Now, as Buddhist techniques like mindfulness eke their way into the American mainstream--often stripped of any historical context--I expect we will see a lot more people like Ian in the future. How did you come up with the structure of A Death on Diamond Mountain, in which Buddhist history is interwoven with the journeys of Thorson and others? My goal was to tell the story of Buddhism in America through the lens of this one tragic protagonist. I wanted to weave standard Buddhist teachings into the narrative as much as possible so that people would learn about the philosophy as they were absorbed in Ian's narrative. There was a lot of outlining and editing to get the mix just right. Which writers have inspired you? Who are you trying reach with Death on Diamond Mountain? The entire time that I wrote the manuscript I had three books on my desk that I turned to for inspiration: Jon Krakauer's Into the Wild, John Vaillant's The Tiger and Lawrence Wright's Going Clear. I think A Death on Diamond Mountain will speak to anyone who has ever tried to strive for some sort of spiritual transcendence. I think many people have felt the cusp between madness and divinity. It's a feeling that is common to every religious experience to some degree. You spent six years in India, more as an ethnographer than as a spiritual seeker. Is there any part of you that identifies with Thorson's yearning for transcendence? Did you ever think of practicing any Eastern religion? If, as attributed to Socrates, "the unexamined life is not worth living," then the life of Anna Benz should be rich and fulfilling. The introspective protagonist of Jill Alexander Essbaum's first novel, Hausfrau, Anna spends nearly all her days and nights reflecting on her life--her often distant banker husband, Bruno, and his family, her three children, her expatriate Zürich surroundings, her German-language classes, her Jungian psychoanalysis and her lovers. Consumed by a listless sadness, she fills sleepless nights wandering the hills behind her suburban house and empty days riding the trains and walking the streets of the city. With Bruno's encouragement, she had enrolled at a local language school and begun psychotherapy in an effort to become more engaged in her Swiss life and meet new people. And so she does. After a brief, passionate love affair with a visiting Boston scientist, she indulges in more sexually intense and transitory liaisons. She finds adultery "alarmingly easy" and tells herself that it satisfies and suits her: "Surrender is your strong suit. Assent, your forte." From a "good wife, mostly," Anna becomes an active adulterer: "Some women collected spoons. Anna collected lovers." In Anna Benz, Essbaum has created a genuine, complex woman whose journey--no matter how dark it may be--reveals truths as only great literature can. She may have her roots in Tolstoy's Anna Karenina or Flaubert's Emma Bovary or Ibsen's Hedda Gabler, but she is a thoroughly modern and distinct character. Hausfrau is not just an exceptional first novel, it is an extraordinary novel--period. --Bruce Jacobs, founding partner, Watermark Books & Cafe, Wichita, Kan. Discover: This terrific first novel is a marvel of precise construction, complex character and dramatic intensity. Haunted dolls and sadistic puppets may sound like the stuff of bargain basement horror films, but in the hands of the talented writers edited by Ellen Datlow (Best Horror of the Year), they become delectably creepy fodder for nightmares. Although Datlow outlawed the cliché of the outright evil doll for The Doll Collection, the writers mine the strangeness of dolls and the twisted natures of a few human characters to chilling effect. In "Heroes and Villains" by Stephen Gallagher (The Bedlam Detective), a dead ventriloquist's dummy gets a new voice to tell its secrets. Gemma Files's (A Book of Tongues) "Gaze" centers on a miniature portrait of an eye that brings a malevolent presence into the life of an antiques dealer. The titular doll in "Miss Sibyl-Cassandra" by Lucy Sussex (Thief of Lives) gives out gypsy-blessed fortunes that come true in surprising ways for their recipients. Discover: Tales of haunted or otherwise unsettling dolls from popular writers including Joyce Carol Oates and Carrie Vaughn, edited by speculative fiction master Ellen Datlow. Keija Parssinen's (The Ruins of Us) The Unraveling of Mercy Louis depicts a young woman's coming-of-age in small town peopled by complex, conflicted, ultimately sympathetic characters. Port Sabine is a refinery town on the Texas Gulf Coast, depressed and parochial, built around oil, secrets and religion. Mercy Louis lives with her grandmother Maw Maw, a radical evangelical who prophesies the end of the world will come in Mercy's senior year. A basketball prodigy, Mercy needs this senior year to show the scouts that she's worth the investment, so she can go to college if Maw Maw is wrong. A discovery in a dumpster throws the town into upheaval and witch-hunting, even as Mercy begins to explore the secrets of her own past as well as the possibilities of her future. The cast of characters includes Mercy's best friend, Annie, riotously rebellious and rich; Mercy's mother, absent until a mysterious letter arrives; and Illa, the manager of the basketball team and a hopeful sports photographer with troubles of her own, fixated upon Mercy in her camera's lens. A new boy in Mercy's life--the first--threatens to upturn her delicate balance: obedience to Maw Maw and the church, and the poetry she makes on the basketball court. Discover: A lovely, thoughtful, disquieting story of the effects of small-town pressures on a remarkable young woman. Roger--a sarcastic, well-read, talking cat who solves cryptic crosswords--is the star of Cat Out of Hell, an adventurous, gothic mystery novel that straddles a fine line between humor and horror, good and evil, life and death. Roger's story is complicated and at times absurdly comical and far-reaching. Readers, however, are in good hands with Lynne Truss (Eats, Shoots & Leaves), who launches her narrative with Alec Charlesworth--a lonely widower, a former Cambridge librarian--who retreats to a North Norfolk coastal cottage to grieve the death of his beloved wife. As dreary days wear on, Alec opens an e-mail sent to him by a former colleague he scarcely remembers, Dr. Winterton. Attached is a mysterious document called "Roger," a compilation of notes, screenplay pages, JPEGs, videos, audios and file transcripts. Alec tries to decipher why these materials were sent to him and their meaning. He focuses on a recorded conversation between Roger and a man named Wiggy. Alec learns that Wiggy is also a grieving widower, whose sister and her dog have disappeared. Wading through the files and putting all the pieces together, Alec begins to suspect the chilling story of Roger may link several mysterious deaths. Furthermore, it may even expose a complex plot involving the dark side of cats, their many lives and their intricate--sometimes retributive--behaviors. Discover: An intelligent, talking cat--with a dark, chilling past--may be a link to several mysterious deaths. Brianna Hai isn't quite human, but as the owner of an occult shop, her job manages to hide a few of her stranger aspects--not that she has to do much hiding from the tourists who buy the shop's ineffective baubles. Her real concern is for those like her, the Fae, who know she's an exiled royal from Faerie, though the enchanted protections she sets around her shop usually keep the otherworldly visitors in line. She doesn't know that Nick Antonelli, a police officer whose brother works in Brianna's shop, has been asked by federal agents to keep an eye on her. After Nick witnesses a magical invasion of the shop, Brianna realizes she's not as safe as she thought. More than that, the attack reveals that her father, the High King of Faerie, is in danger. Brianna returns to the deadly faerie courts in order to help him. Unfortunately, the two brothers insist on joining her. Unable to fend for themselves in Faerie, the brothers require her protection and put her in greater danger. Discover: An exciting urban fantasy that takes readers from city grind to dazzling faerie courts. In 2006, Edward Mendelson, the Lionel Trilling Professor in the Humanities at Columbia University, wrote The Things That Matter, a guide to seven classic novels. Moral Agents: Eight Twentieth-Century American Writers, something of a companion volume, profiles eight American authors as "moral" writers, uncovering the effects each of their works had on themselves and on others. Mendelson is interested in the "choices they continually made between wearing a mask and exposing their face." He draws upon their private lives via letters and diaries as well as their published works. He categorizes each writer's mask with a single word. For example, Frank O'Hara, the outgoing, sociable poet, wears the celebrant mask, while his poems are "private conversations with individual readers, too quiet to be heard in a crowded room." Discover: A handy, accessible and lively primer to the moral "innards" of eight American writers. Western histories of the World War I often focus on the trench warfare on the Western front. When they discuss the campaigns at Gallipoli and in Mesopotamia, they generally tell the story from the Western point of view. In The Fall of the Ottomans: The Great War in the Middle East, historian Eugene Rogan (The Arabs: A History) looks at the war from the often-overlooked perspective of the Ottoman Empire. Rogan's story is as complicated as the multi-ethnic empire at its heart. He describes the forces of internal revolution, external wars, lost provinces and lost confidence that led the Ottomans to seek an ally against Russian aggression in the early months of 1914--and how those same forces shaped Ottoman choices throughout the war. He tells the familiar stories of Gallipoli and the Mesopotamian campaign from an unfamiliar vantage point, and the less familiar story of Turkey's fight against Russia on the Caucasian front. Discover: How Ottoman involvement transformed the events of 1914 from a European conflict to a world war. Discover: An in-depth study of the collapse of the American Dream and upward class mobility in the United States. A miniature drone disguised as a spider sneaks into your shower to spy on or assassinate you. A deranged scientist uses widely available biotechnology to construct an ultra-lethal virus. Terrorists use drones to disperse anthrax spores over a crowded city center, infecting thousands. These terrifying events are the imaginings not of science fiction authors, but of distinguished academics: Benjamin Wittes of the Brookings Institution and Gabriella Blum of Harvard Law School, authors of The Future of Violence: Robots and Germs, Hackers and Drones--Confronting a New Age of Threat. They foresee a future of technology that exponentially empowers the individual, consequently giving anyone the ability to threaten anyone else. This presents a difficult question: If we consent to be governed for the sake of security, what happens when the state can no longer provide that security? Wittes and Blum see Hobbes's Leviathan as an aging, soon to be obsolete beast. New paradigms of domestic governance and international cooperation are required, especially in a future where a few bad actors can cause unimaginable carnage. Discover: A fascinating political science treatise on the future of technology, security and government. There is no shortage of books about Amazon exploration and natural history, but few are of this quality in both storytelling and scholarship. In Naturalists in Paradise: Wallace, Bates and Spruce in the Amazon, Amazon expert, author and former director of the Royal Geographical Society John Hemming (Tree of Rivers: The Story of the Amazon) tells the intertwined stories of three great British naturalists, key supporters of the theory of evolution, who studied the Amazon region between 1848 and 1862. Hemming writes with sympathetic enthusiasm for his predecessors and occasionally drops in a brief anecdote of his own. Henry Walter Bates, Alfred Russel Wallace and Richard Spruce were all young and mostly self-taught scientists who had never traveled outside England. Bates became known for his entomological work, Wallace for a theory of evolution that spurred Darwin on and Spruce for cultivating a tree that produced anti-malarial quinine. Discover: The groundbreaking expeditions of three young Victorian naturalists in the Amazon. Mara Rockliff (Gingerbread for Liberty!) and Iacopo Bruno, making his picture-book debut, combine a storyteller's lilt and an artist's flair for fashion in a mesmerizing story of history, science, personalities and the placebo effect. King Louis XVI invites Ben Franklin to France to investigate a new arrival, Dr. Mesmer. At the outset, Rockliff describes the scientific method (using Franklin's kite experiments on lightning) and its four elements: observe, hypothesize, test, support. Then author and artist introduce Dr. Mesmer. In contrast to Franklin's bald spot and buckle shoes, Dr. Mesmer "wore a powdered wig and a fine coat of purple silk. He carried an iron wand. And he claimed to have discovered an astonishing new force." Rockliff artfully characterizes it in scientific terms: "Like a gas, this force could not be seen or touched. Like electricity, it held great power. Like the hot-air balloon, it made what seemed impossible come true." Then author and artist juxtapose its hocus-pocus side, as Dr. Mesmer emits bolts of energy from his fingertips: "Women swooned. Men sobbed. Children fell down in fits." While others "gasped and groaned--twitched and trembled" at Mesmer's assistant waving his wand, Ben Franklin did not. He developed an experiment (shown over two full spreads), before and after blindfolding a patient. Discover: Benjamin Franklin is a hero in France and a champion of the placebo effect. Lesley M.M. Blume (Cornelia and the Audacious Escapades of the Somerset Sisters) crafts a charming story about 11-year-old narrator Julia Lancaster finding her family while in search of her mother. In the summer of 1968, after her grandmother dies and the family estate is sold off, Julia and her Aunt Constance journey across the country to find her mother, who is estranged from the family. To prepare for the trip, Aunt Constance has packed her most practical travel items--silver candlesticks, Oriental carpets, steamer trunks and Julia's beloved Brownie camera (photographs from which illustrate much of the book). While readers know these are not, in fact, practical items, they reveal Constance's outlook on proper society and foreshadow the societal changes occurring in the United States. 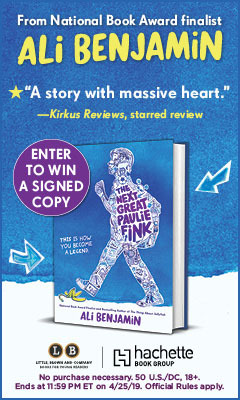 Their journey takes them from New York City's Greenwich Village to San Francisco's Haight-Ashbury. Along the way, they encounter a New Orleans society lady who knows more than she tells, a Texas big game hunter who arranges a javelina hunt, and a Nevada man who is sheriff of a town in which he is the only resident. Each of these characters provides an adventure for Julia and Aunt Constance to test their mettle, and they each recognize they are stronger than they once thought. Discover: The 11-year-old narrator's charming story about finding her family while in search of her mother. Attraction knows no bounds in Eisner-nominee Andi Watson's (Breakfast After Noon) sweet tale of a princess and a count with culinary skills. Princess Decomposia has a great burden on her shoulders. While her father, the king of the Underworld, complains of ailments and confines himself to bed, she must answer letters from the public, approve cabinet documents and hold meetings with the Lycanthrope delegation. In the midst of these pressures, the cook quits, and the princess must hire a new one. The king rejects kippers that are either too dry or too wet, while the new chef, Count Spatula, devises feasts that ensure diplomatic progress with traveling dignitaries. Moreover, he takes pains to make sure the princess eats well. Black-and-white panels chart how the palace transforms from the dark and dreary common hallways and king's quarters to the warm light of the kitchen where the toothless count (too many sugary pastries) works his magic. The count counsels "Dee" (as she insists he call her) to delegate some of her responsibilities, and Skulker (with one large eye in place of a head) reports these developments back to the king. Watson builds to a climax Overground, when the king orders Decomposia to fire the cook and travel above for the Thursday of the Dead celebration. Discover: A three-time Eisner nominee's funny, romantic tale of a chef who feeds a princess in more ways than one.